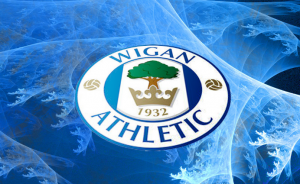 It should not come as a surprise that Wigan has a thriving and vibrant footballing culture. The town, after all, lies in the midst of Greater Manchester and close to what has now become two of the biggest clubs in world football – Manchester United and Manchester City. Football and Wigan share close ties not simply because of the geography, but also because of its roots. The town was one of the hustling, bustling industrial nerve points of England. This led to the game being played by miners and taking a hold of their imagination. Wigan Athletic, then, is just an extension of the town’s identity. And they have provided some real moments of magic and footballing memories that will probably live forever. The history of the football club is as interesting and rich as that of the town. Wigan Athletic was not the first attempt at creating a stable club. It was the fifth. All the previous attempts had ended in near disaster. But just like Wigan itself, a new footballing identity rose from the ashes. Though the club was formed in 1932, it was not until the 1990s that Wigan Athletic began making a serious mark on the nation’s footballing consciousness. 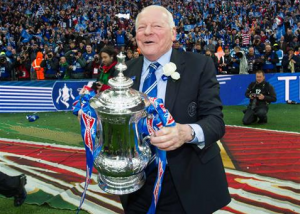 In 1995, a local millionaire, Dave Whelan, became the club’s sole owner. This sparked the modern revolution and ignited the team’s challenge to reach the top tier of English football. They climbed from the bottom rungs of the footballing chain to the Premier League in the 2004-2005 season. It had taken 73 years for Wigan Athletic to breathe the rarefied air of the top division and rub shoulders with giants like Manchester United, Chelsea, and Arsenal. Their first ever league match against the defending champions, Chelsea, was a sold out affair at the DW Stadium. Wigan Athletic’s first season in the Premier League was their most successful. They were a surprising second in the table as far as November. Their strong form in the top division reflected in other cup competitions as well, especially the Football League Cup. They embarked on a stellar run, beating top sides. One of their best victories came in the semi-finals of the cup when they beat Arsenal on the away goals tiebreak. This proved to be an anti-climax, as the club then went on to lose 0-4 to their neighbours, Manchester United. At the end of the first season, they finished 10th in the league, which was the highest ever position they would reach. The years following the 2004-2005 season saw Wigan Athletic finish in the bottom half of the Premier League. Some seasons were more difficult than others as the club battled relegation. All of the passion and intensity would come to a head in the 2012-2013 season. It was a year where the team and the town would taste the highs of success and the lows of defeat. The season began in a familiar fashion with Wigan Athletic trying to sneak above the bottom three. Their indifferent league form, however, did not affect their FA Cup run. They had a dream run to the finals where they defeated another neighbour, Manchester City, in stoppage time. The jubilation of their first major honour was tempered by their relegation from the Premier League the same season. Wigan Athletic now play in the Championship.